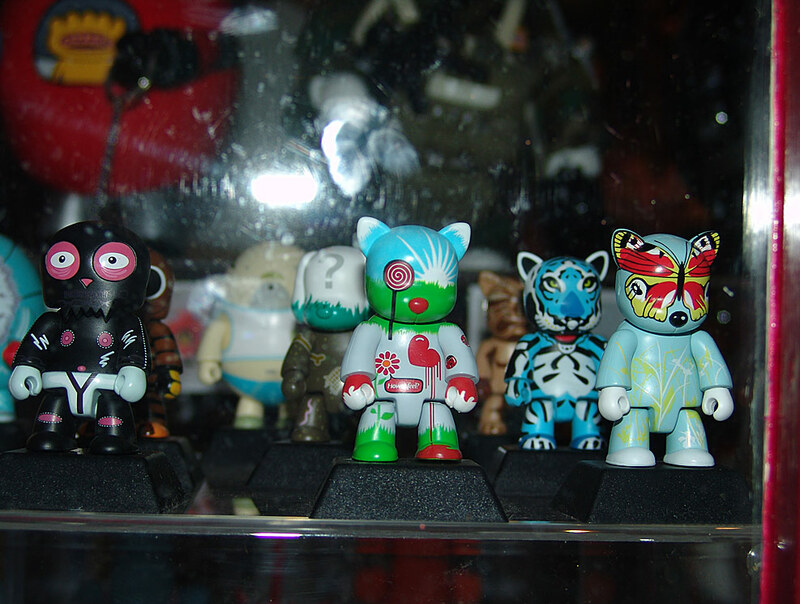 The long-awaited launch exhibition of the finished designer toys – including FL@33's winning Mr Papillon Kit Cat Qee – were presented here in all their cute 2" (5cm) glory. 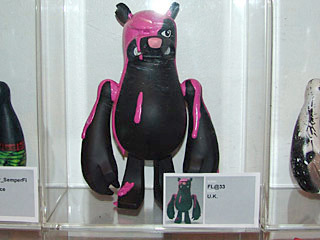 ___ The keychain/toy was made available worldwide in July 2005 as part of the Design-a-Qee UK series. 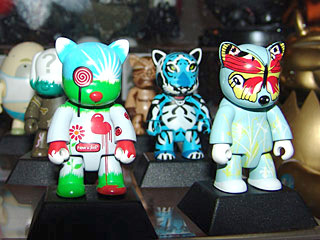 ___ A signed Mr Papillon set – including lots of goodies was available over at stereohype.com in a limited edition of 50 only. 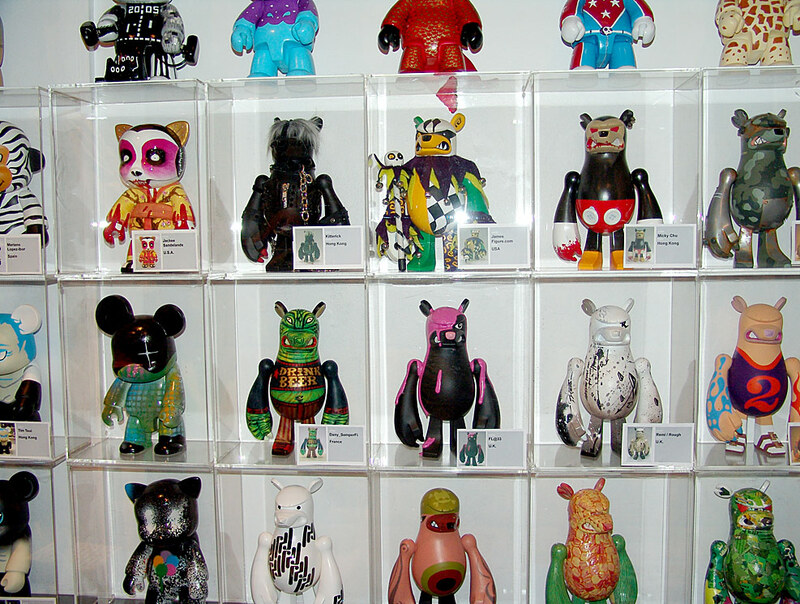 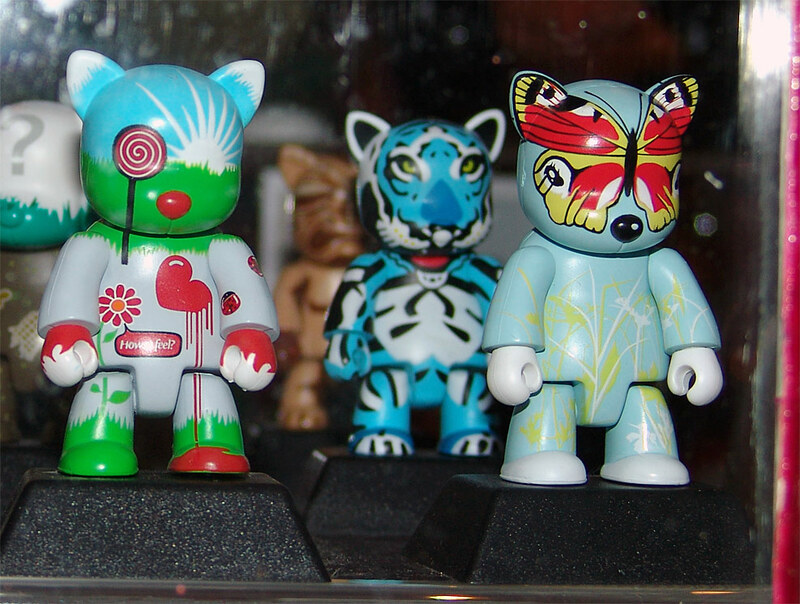 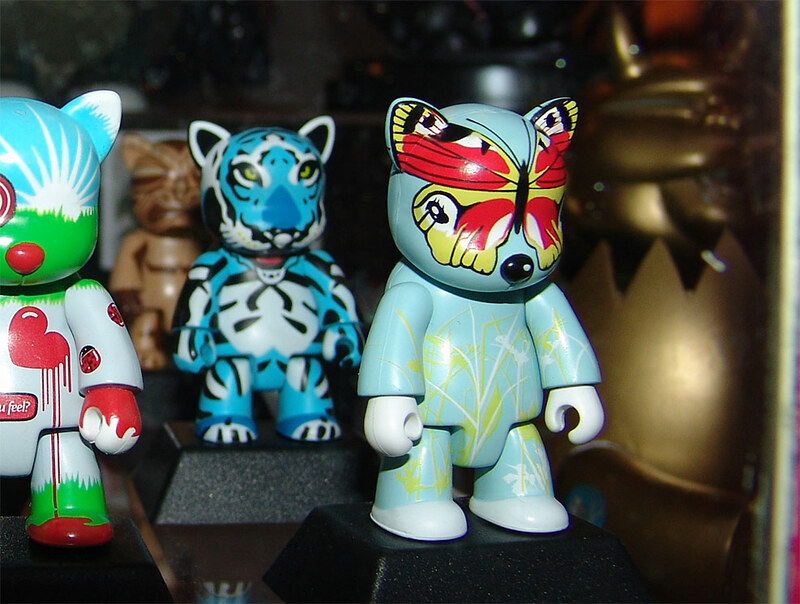 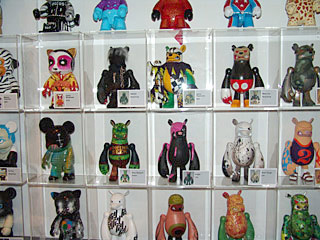 The exhibition also included one of our custom Knuckle Bears called Mr Bad Luck. 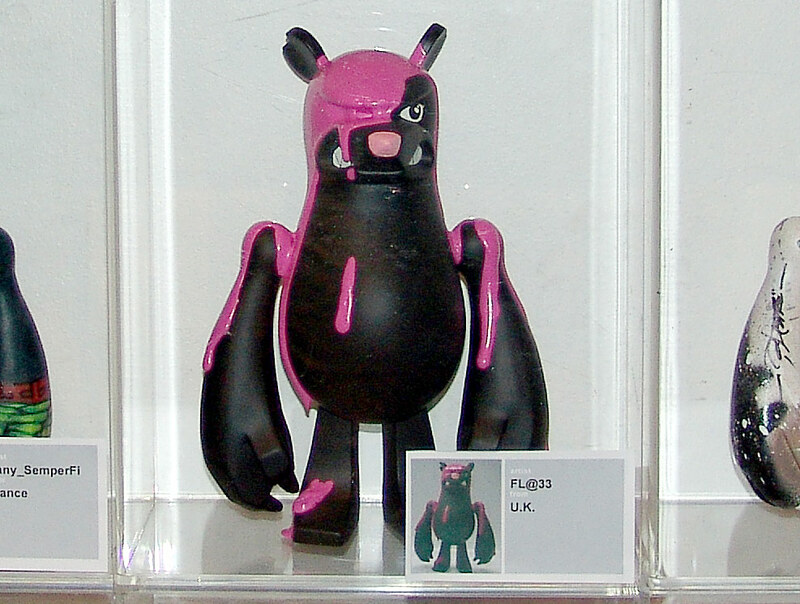 Just over one year before Mr Papillon's actual launch the Design-a-Qee-Expo took place at the same location – Playlounge store, 6 Newburgh Street – where all print-outs of Design-a-Qee UK competition entries and winners were presented.